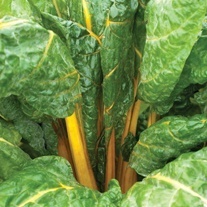 Chard Seed delivered direct by D.T.Brown seeds. 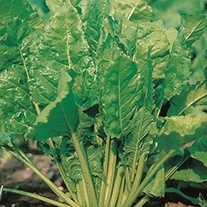 Chard, Beta vulgaris var. 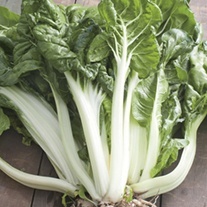 cicla, is often referred to as Swiss chard or perpetual spinach. 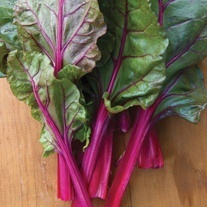 Surprisingly chard is a close relative of the beet, but is grown for the edible stem and leaves, as opposed to the root. 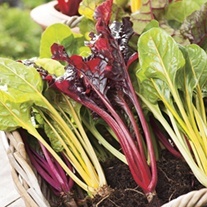 Chard grows well in an open sunny site and like other leafy greens prefer well-drained, reasonably fertile soil that's been enriched with well-rotted garden compost or manure (such as Orgro). For best results before sowing, rake in a handful of general purpose fertiliser per square metre. 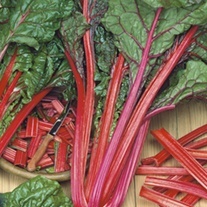 Sow outdoors from Mid-March until end of July, thinly at a depth of approx. 2.5cm (1in) in rows that are approx 40cm (15in) apart. Thin out seedlings when they are approx. 2.5cm (1in) high leaving one every 30cm (1ft).